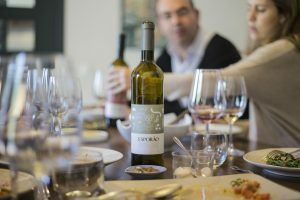 Esporão Colheita is the company’s new wine. We spoke to seven of the people who helped write its story. 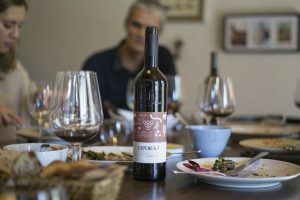 Director of agricultural, Amândio Rodrigues highlights some of the Alentejo’s most special features, like its climate, which heavily influences all the work done in the field. “It is a major challenge to have the whole of Herdade da Esporão using organic farming methods because of the climate we have. Cold winters with some rain and very hot summers, with temperatures above 40º C, which makes it difficult to manage the vineyards and olive grove. To meet this challenge, we have been adapting our methods. We created drainage water lines in the vineyards to deal with excess water and avoid soil compaction. When we use machinery, compaction is much greater if the soil is very wet. Good drainage also helps prevent the onset of diseases, especially fungi. When we reduce diseases, we use fewer crop protection agents, which means a better-quality product. Also, to reduce pests, we planted grass in the summer to attract auxiliary fauna, as well as protective hedges in the vineyard.